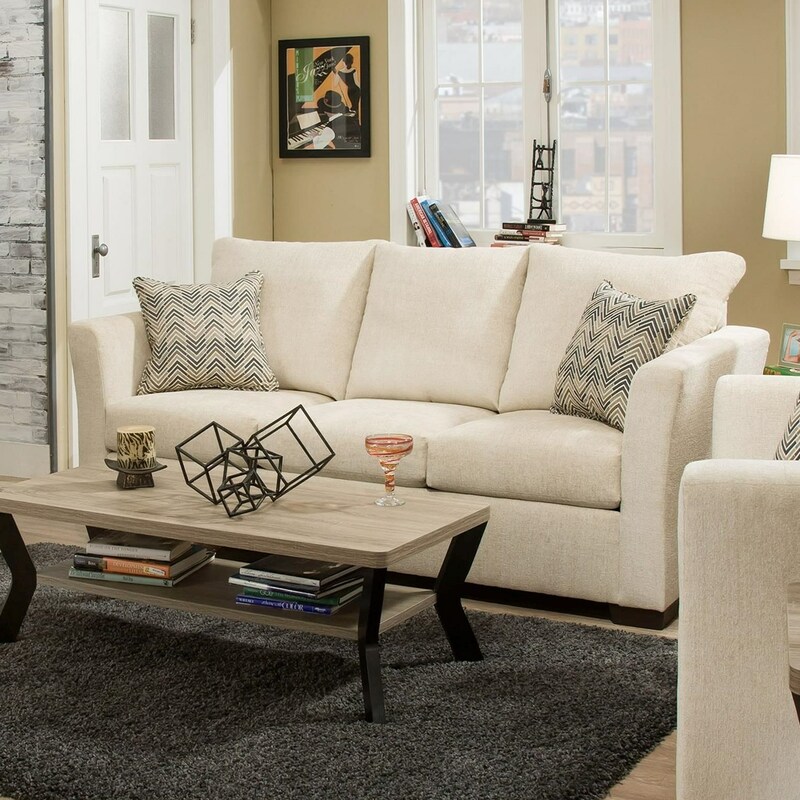 This queen sleeper sofa makes a wonderful centerpiece for your transitional living room setting. Featuring flared tapered arms, the sofa rests on sturdy block feet and includes three seat and back cushions for extended comfort. Supportive and well-styled, the sofa also includes a pull out queen sleeper to accommodate all your modern needs. The 4206 Transitional Queen Sleeper Sofa by United Furniture Industries at Miskelly Furniture in the Jackson, Pearl, Madison, Ridgeland, Flowood Mississippi area. Product availability may vary. Contact us for the most current availability on this product. Browse other items in the 4206 collection from Miskelly Furniture in the Jackson, Pearl, Madison, Ridgeland, Flowood Mississippi area.